Longtime Harry Potter fans who feel like first-years at heart may find it hard to believe, but the books have been around for decades. This year marks the 20th anniversary of the release of Harry Potter and the Prisoner of Azkaban, the third installment in J.K. Rowling’s fantasy series, which follows Harry as he faces Dementors, investigates the mysterious Sirius Black, and gets through his third year at Hogwarts. From Rowling’s writing process to how it changed The New York Times Best Sellers list, here are some facts you should know about the wildly popular book. 1. Harry Potter and the Prisoner of Azkaban was J.K. Rowling’s "best writing experience." In a 2004 interview with USA Today, Rowling described the creation of Prisoner of Azkaban as “the best writing experience I ever had.” This had more to do with where Rowling was at in her professional life than the content of the actual story. By book three, she was successful enough where she didn’t have to worry about finances, but not yet so famous that the she felt the stress of being in the public eye. 2. The Dementors represent depression. Readers who live with depression may see something familiar in Prisoner of Azkaban’s soul-sucking Dementors. According to the book, “Get too near a Dementor and every good feeling, every happy memory will be sucked out of you. If it can, the Dementor will feed on you long enough to reduce you to something like itself ... soulless and evil. You will be left with nothing but the worst experiences of your life." Rowling has stated that she based the Dementor’s effects on her own experiences with depression. "[Depression] is that absence of being able to envisage that you will ever be cheerful again," she told The Times in 2000. "The absence of hope. That very deadened feeling, which is so very different from feeling sad. Sad hurts but it's a healthy feeling. It's a necessary thing to feel. Depression is very different." 3. Rowling regretted giving Harry the Marauder’s Map. In Prisoner of Azkaban, the Marauder’s Map is introduced as a way for Harry to track Sirius Black and learn of the survival of Peter Pettigrew. But this plot device proved problematic for Rowling later on this series. In Hogwarts: An Incomplete and Unreliable Guide, she wrote, “The Marauder’s Map subsequently became something of a bane to its true originator (me), because it allowed Harry a little too much freedom of information.” She went on to say that she sometimes wished she had made Harry lose the map for good in the later books. 4. Rowling was excited to introduce Remus Lupin. 5. Crookshanks is based on a real cat. Harry had Hedwig the owl, Ron had his pet rat Scabbers, and in book three, Hermione got a pet of her own: an intelligent half-Kneazle cat named Crookshanks. J.K. Rowling is allergic to cats, and she admits on her website that she prefers dogs, but she does have fond memories of a cat that roamed the London neighborhood where she worked in the 1980s. When writing Crookshanks, she gave him that cat’s haughty attitude and smushed-face appearance. 6. Prisoner of Azkaban was the last Harry Potter book Americans had to wait for. Harry Potter fans based in America will no doubt remember waiting months after a book’s initial release in England to buy it from their local bookstore. 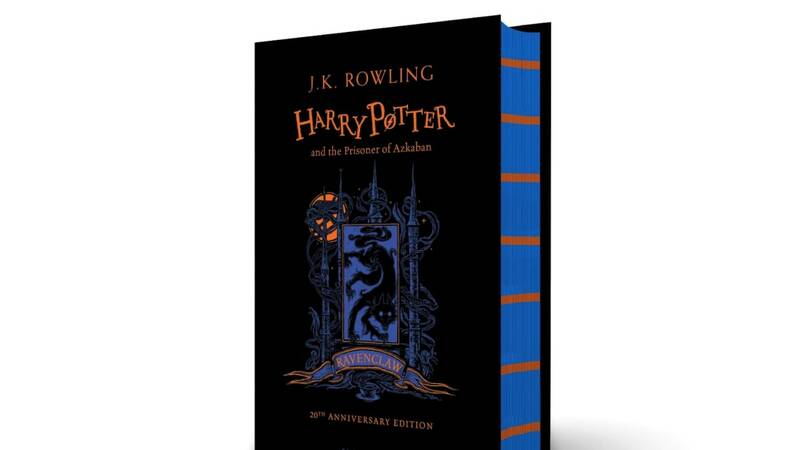 Prisoner of Azkaban was the last Harry Potter book with a staggered publication date: Beginning with Harry Potter and the Goblet of Fire, the rest of the books in the series were published in both markets on the same date. 7. Harry Potter and the Prisoner of Azkaban broke sales records. Harry Potter and the Prisoner of Azkaban sold 68,000 copies in the UK within three days of its release, making it the fastest-selling British book of all time in 1999. The book has since gone on to sell more than 65 million copies worldwide and helped make Harry Potter the bestselling book series ever. 8. It changed The New York Times Best Sellers List. For part of 1999, the first three Harry Potter books—Harry Potter and the Sorcerer's Stone (which is known as Harry Potter and the Philosopher's Stone pretty much everywhere besides America), Chamber of Secrets, and Prisoner of Azkaban—occupied the top three slots on The New York Times Best Sellers list. It didn’t stay that way for long, though: Prisoner of Azkaban was the book that pushed the paper to create a separate list just for children’s literature, leaving more room on the original list for books aimed at adults. That’s why Harry Potter is missing from the famous bestsellers roundup during the 2000s, despite dominating book sales at this time.